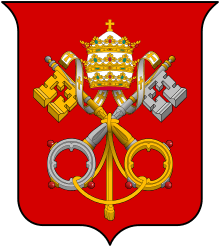 The Congregation for the Clergy (Latin: Congregatio pro Clericis; formerly the Sacred Congregation for the Clergy and Sacred Congregation of the Council) is the congregation of the Roman Curia responsible for overseeing matters regarding priests and deacons not belonging to religious orders. The Congregation for the Clergy handles requests for dispensation from active priestly ministry, as well as the legislation governing presbyteral councils and other organisations of priests around the world. The Congregation does not deal with clerical sexual abuse cases, as those are handled exclusively by the Congregation for the Doctrine of the Faith. 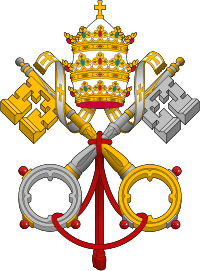 On January 25, 2012, Pope Benedict XVI gave it responsibility for regulating Catholic seminaries, which until then was the responsibility of the Congregation for Catholic Education. Since 21 September 2013, the Prefect of the Congregation has been Cardinal Beniamino Stella, former President of the Pontifical Ecclesiastical Academy). The Secretary of the Congregation is the French Archbishop Joël Mercier. Mexican Archbishop Jorge Carlos Patrón Wong is the Secretary for Seminaries. It was first set up as the Sacra Congregatio Cardinalium pro executione et interpretatione concilii Tridentini interpretum by Pope Pius IV in the apostolic constitution Alias Nos of August 2, 1564 to oversee the proper application and observation of the disciplinary decrees of the Council of Trent throughout the Catholic Church. It was commonly known as the Sacred Congregation of the Council. Pope Sixtus V's Apostolic Constitution Immensa of January 22, 1588 expanded the Congregation's functions, entrusting it with the proper interpretation of the canons of the Council of Trent, resolving controversial questions relating to it and monitoring provincial councils. It later lost many of its powers, retaining only those relating to disciplining secular clergy, but still held onto its original name prior to Pope Paul VI's apostolic constitution Regimini Ecclesiae Universae of December 31, 1967, which renamed it the 'Congregation for the Clergy'. In January 2013, the motu proprio Fides per doctrinam transferred the competency on Catechesis from the Congregation for the Clergy to the Pontifical Council for the Promotion of the New Evangelisation. "Congregation for the Clergy". The Roman Curia. Retrieved May 8, 2005. "Pastor Bonus". John Paul II: Apostolic Constitutions. Retrieved May 8, 2005. ↑ "Benedict XVI: New motu proprios affect seminaries, catechesis". Vatican Radio. Retrieved 9 January 2015. ↑ "Vaticano, nuove nomine: Stella al Clero e Baldisseri al Sinodo". Vatican Insider (in Italian). 2013-09-20. Retrieved 2015-01-09. ↑ Tornielli, Andrea (8 January 2015). "A Frenchman, 'priest educator', is the new Secretary for the Congregation for the Clergy". Vatican Insider. Retrieved 8 January 2015.